Any person with religious inclinations and ideals who attends nearly any kind of church is familiar with the music of the church known academically as hymnology. It would be hard for the modern church attendee to grasp the idea that there was a time when hymn singing was not an integral part of the church service and, in fact, in some groups actually forbidden. The study of hymnology to a degree parallels the evolution of man, not in the naturalistic sense, but in the spiritual. It represents a fascinating insight into the relationship that man has felt between himself and the Eternal God. Hymns were evident in England long before the Renaissance. The Normans introduced carol singing during the Early English Period of the thirteenth century. During the Middle English Period, the hymns that were circulated dealt mainly with Christ, Christmas, or the Virgin Mary. It was during the fifteenth century, however, that singing as an art form came into focus. The humanitarian influences of the time were quickly put into verse and song by the gifted religious leaders of the time. The evolution of the modern hymn was energized with the birth of Protestantism, although congregational singing was apparent long before either John Calvin or Martin Luther. It took a man named John Hus to give the progression of the hymn a great leap forward. Hus was the first to promote the idea of group singing and gave his followers the first ever published book of hymns. His first recorded hymn book is dated 1505. Thus the modern hymn book had its humble beginnings more than 500 years ago. Martin Luther loved the old German folk songs and began to use the old metric form of music, creating verses which promoted the doctrines and inspirations of the new faith. Luther believed that a church service should have “…plenty of hearty singing.” Calvin, on the other hand, considered folk singing frivolous and believed that no words could be more fittingly sung in praise than the songs taken directly from the scriptures. He believed that hymns should be based on two factors: simplicity, because the people were simple, and modesty, because they were worshiping a sovereign God. In the 1740s an evangelical movement swept through the Church of England and became known as Methodism. The new Methodism movement enthusiastically endorsed congregational singing. It was led by the father of Methodist hymnology, John Wesley, although the same credit is sometimes given to his brother, Charles Wesley. In their lifetimes, the Wesleys published over 6,500 hymns, many of which are still church musical staples today. To some scholars, the late nineteenth and early twentieth centuries were the golden age in the development of congregational singing. The early 1900s saw, in the United States and later in other areas of the world, a new evangelistic movement called Pentecostalism spreading like wildfire. The movement was marked by several distinct characteristics, but most evident to the observer was enthusiastic congregational singing. 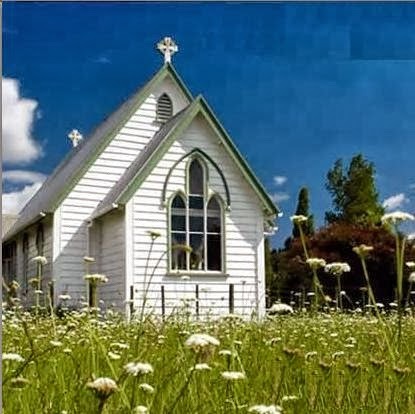 Though the hymns that were sung were, even at that time, old and well worn, they were sung with a conviction and depth of worship that had not been previously evident. The believers at the time would have told you that the enthusiasm was there because of a new experience and a new relationship they had established with their God. By 1950, every congregation has a person assigned to select the songs of praise for each service. Hymnals were available for everyone to use, and each member was expected and encouraged to participate in the congregational singing. The music instrumentation was minimal: a piano or guitar as a base, and perhaps additionally an organ. The purpose of the music was to encourage congregational worship through congregational participation. In many smaller congregations, musical talent was limited, but in the simplicity of singing, a congregational member could become part of the whole church body and draw spiritual strength from his/her community of believers and a communion with God. The act of singing became a musical prayer of thanksgiving, worship, and honor. In the mid 1970s, however, the focus of congregational singing began to blur. Musicians had become much more sophisticated and skilled in other instruments besides the basic piano, organ, and guitar, and, with the explosion of the Communications Age, musical influences outside of Christendom began to influence those who affected the music of the church. Taking advantage of the revolution of electronics and sound systems, massive musical concerts of every genre from bluegrass to hard rock drew thousands of enthusiastic spectators with many concerts being held outdoors to accommodate the throngs of attendees. Church musical directors observed with unfeigned envy the success of these spectacles and began to integrate the concert template into the regular church service. Congregational music began to morph from an exercise in spiritual bonding with fellow worshippers to a spectator sport. Skillful presentation, rather that audience participation, became the objective of the musicians. Songs were presented as demonstrations of skill rather than a call to the congregation to participate. Praise was encouraged, but preferably it would be in enthusiastic reaction to the skillful presentation of the singers rather than the spontaneous worship a congregation might experience in musical prayer. Ignoring Calvin’s suggestion that congregational music needed to be simple and modest in execution, musicians created music which was increasingly more sophisticated: arrhythmic, atonal, and freely scripted (non rhyming.) The musically unsophisticated congregational member was not able to follow or understand the music that was being presented. The result of this approach to church music has been the withdrawal of a majority of the members of any congregation from participation during the musical portion of a worship service. During this "worship" period of a church service, outstanding musicians and singers present songs of incredible difficulty with great skill. As these musicians perform albeit with great enthusiasm, one will generally observe less than fifteen percent of the congregation reacting to the music. There will be handclapping and some praise, but in general the church members are detached and nonresponding. The spiritual uniting of the members of the church with their leaders and their God is nowhere to be seen, and, as a result, a major purpose of church attendance is unrealized. Is presentational music the death knell of Christian music?...or for that matter, the church? Probably not…but it is a step in the wrong direction. The purpose of the ministry, of music, and of every department of the church is to encourage an active relationship between each individual congregational member and his/her God. Though there is praise in presentational music, it is akin to watching a movie. It may be presented in high definition and 3-D and be magnificently presented, but it’s not real…it’s only an image viewed from the comfort of a seat. With no unifying spirit of communion, it does not encourage participation, and is, in the final analysis, detrimental to the overall progress of the church. There was a time when church members stood and made audible prayer requests during a service. There was a time when church members stood and freely gave their testimonies of praise and worship during a service. There was a time when church members were encouraged to come to the rostrum and sing in the choir during song service, regardless of skill. And there was at time when church members came to church and sang the familiar songs of Zion in musical praise to their Creator.